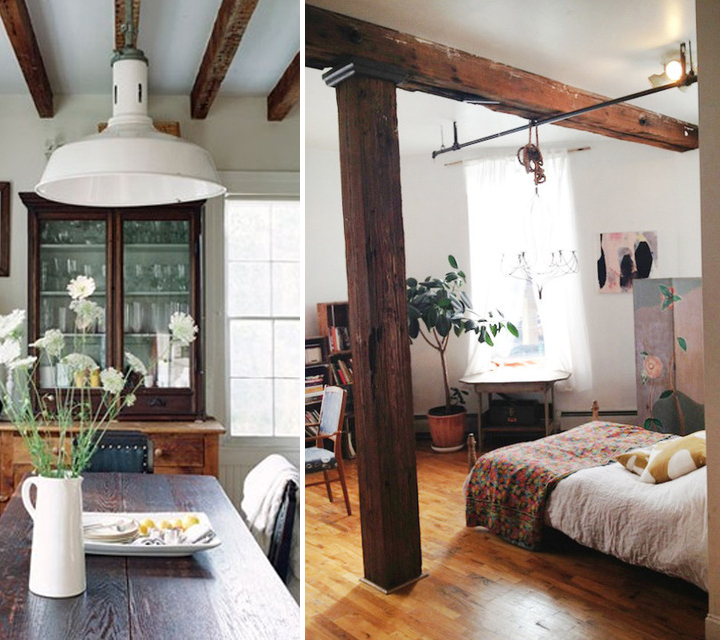 When it comes to a home, I'm all about the details-- built-in cabinets, vintage door knobs, those oddly placed tiny windows and exposed beams. That look of tall, crisp white walls with natural wood ceiling beams is such a show stopper, and they add so much character to a home. I'm keeping my fingers crossed (tightly!) to stumbled upon some of these details when we start the house hunt.